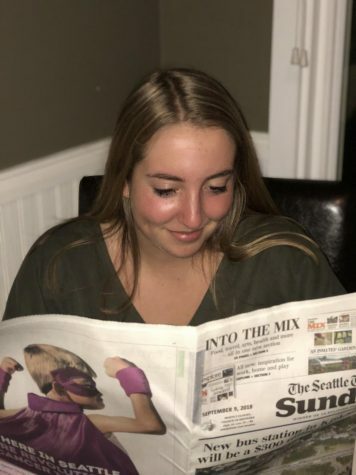 Dani Smith, a senior this year at Bishop Blanchet, is starting her first year as part of the journalism team and Miter staff. While being part of this team her senior year, Dani hopes to strengthen her skills as a writer and be able to tell a powerful story. She has always loved writing and also enjoys keeping up with current events by reading the Seattle Times, and by watching the Today Show and CNN. Dani is excited to be a part of the Miter staff this year and be a voice for the Brave community.